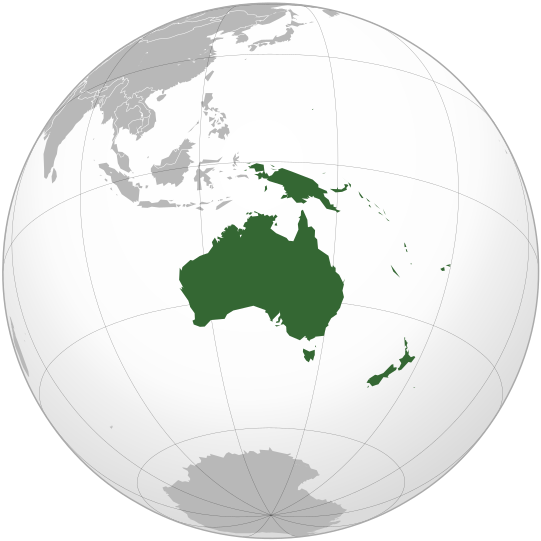 English: Orthographic map of the Australasian part of Oceania: Australia, New Guinea, Island Melanesia, and New Zealand, but excluding the Maluccas. 2013년 11월 6일 (수) 06:04 541 × 541 (258 KB) Ischa1 Western New Guinea belongs to Oceania. 2010년 10월 22일 (금) 04:34 541 × 541 (258 KB) Gadfium Revert to earlier version which does not include Malay archipelago. See talk page. 2010년 1월 30일 (토) 20:37 541 × 541 (313 KB) Huaiwei Remove Indonesian New Guinea.